A Well-Trained Dog Is a Pleasure to Own. to a gentler way to train your dog. WE CAN TRAIN ANY DOG any breed or mix any age. Training a dog successfully gives you a chance to bond with your dog in a unique way. 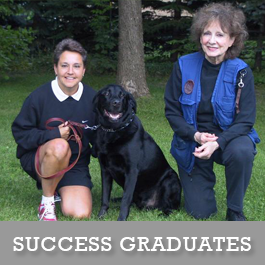 It should be a fun time, and it is, here at Success Dog Training. Dog training at Success Dog Training is provided by an experienced professional and ensures you are using the most effective techniques for your dog, saving you many hours of wasted effort and frustration. Conveniently located in the western suburbs of the Twin Cities, we are quickly and easily accessed from Rogers, Maple Grove and surrounding townships as well as the Twin Cities themselves. 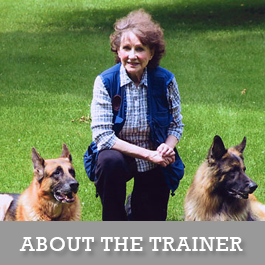 Founded in 1997, we have many years' experience in training unruly dogs and we confidentially state that we can train any dog, any breed or mix and at any age. It is our belief that every dog is trainable without resorting to harsh methods. Shock collars, choke collars, harnesses, head halters, so called gentle leaders, clickers, bells or whistles are not used in our program. We can achieve our goals by gently showing the dog what it is that he is expected to do, that we are in charge and that he must obey in any circumstance. We get results and we get them fast. All training is done by appointment at the client's convenience and can be scheduled days, evenings, or weekends. The dog/owner team is never locked into a fixed day or time. 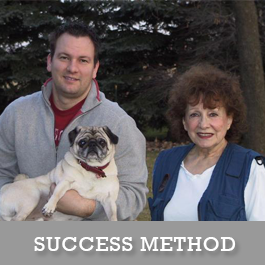 Call us now at Success Dog Training in Rogers, MN for a free consultation for obedience lessons for puppies and dogs! We train your dog to have many important commands. Let's get started today!